Want to enjoy the great outdoors? The City of Troy has four parks for recreation, and a public swimming pool open all summer for residents and no-residents. Three of our parks have pavilion space available for occasions such as birthday parties, reunions or company picnics. The pavilions are available for rent April 1st through October 31st, when the restrooms are open to the public. 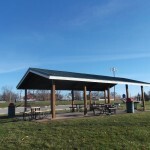 All pavilions require a rental fee (paid in person) and the posting of a permit, which may be obtained from City Hall prior to the reservation date. To inquire about a pavilion reservation, contact City Hall at 636-528-4712 or visit us at 800 Cap Au Gris. Click here to download pavilion reservation policy and application. Are you wanting to have a 5K or Special Event in the city limits of Troy, regardless of the location? See the attached information and contact our Parks Director at 636-462-7605 for more information. Located at 971 Monroe Street, Fairgrounds Park has four baseball fields, three soccer fields, basketball courts, skating ramps, a tire playground, and a traditional playground. Once the home of the annual Lincoln County Fair, Fairgrounds Park still bears the name. 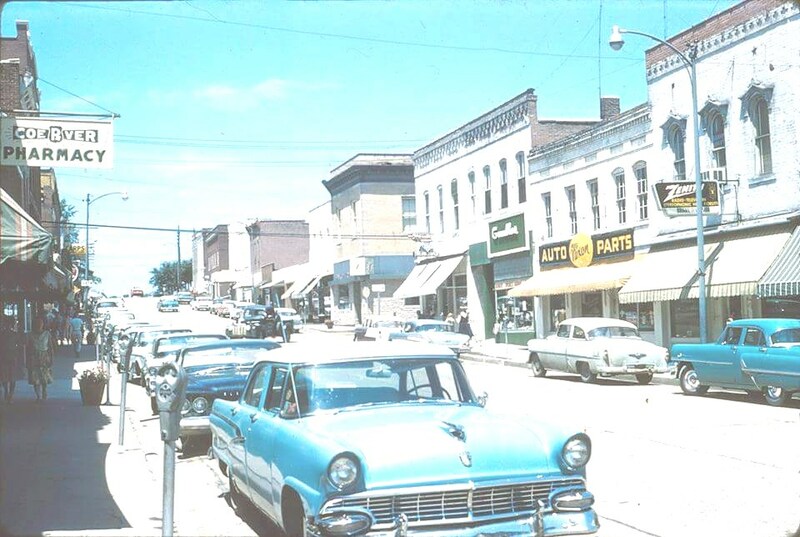 Not to be confused with the current Lincoln County Fairgrounds located just north of Troy’s City limits, Fairgrounds Park is situated off Monroe Street and is often called the “duck pond park” for its most noticeable feature. Pavilion rental fee is $50 for residents, $100 for non-residents and businesses. Call 636-528-4712 for non-profit rental rates. 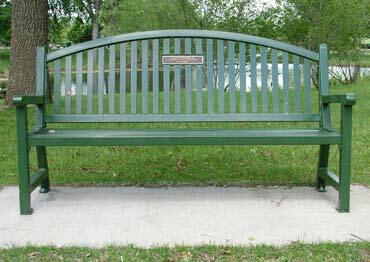 Located at 805 Cap Au Gris, just north of Troy City Hall, is Avery Park. Spanning seven acres, Avery features a traditional playground, a half-mile walking trail lined with park benches and barbecue pits placed around the wooded park for your convenience. Avery Park also has a pavilion available for rent. Pavilion rental fee is $50 for residents, $100 for non-residents and businesses. Call 636-528-4712 for non-profit rental rates. Weinand Park is located at 1305 Boone Street. The park covers five acres and features a walking trail, a traditional playground and a grassy field perfect for picnicking. The Angel of Hope, a replica of the Christmas Box Angel statue in Salt Lake City, Utah, is also displayed at Weinand Park. 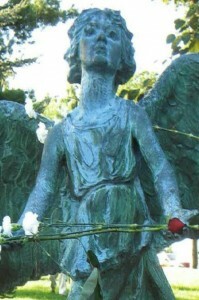 The angel honors the memories of deceased children. Parents and loved ones may purchase memorial bricks at the base of the statue to engrave a personal message for their child. Click here for Angel of Hope memorial brick information. Pavilion rental fee is $50 for residents, $100 for non-residents and businesses. Call 636-528-4712 for non-profit rental rates. Woods Fort is Troy’s historic park area. The land was given to the city in 1819 by the founding fathers, Joseph Cottle and Zadock Woods. A natural spring ran on this lot and provided the area with water until blasting stopped the flow of water during the construction of Highway 47. On the lot now stands two log cabins and a memorial marker describing the historical background of the lot. Benches and tables are on the area located across the street at the intersection of Boone and Main Streets.